News We Are the Champions!!! 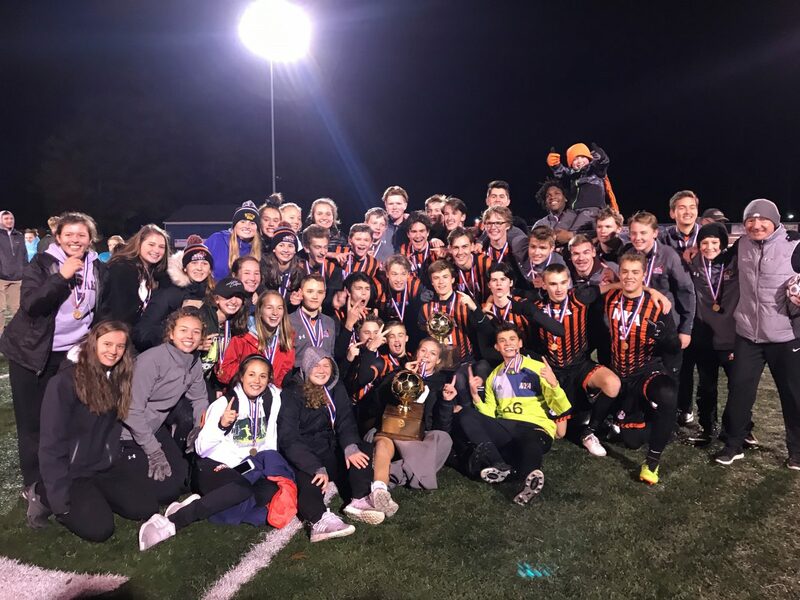 BOTH NYA Girls and Boys Soccer Teams won the 2018 Class D State Championship titles this past weekend. On Saturday, November 3, 2018, the Panthers of the south met the Central Aroostook Panthers of the north when the girls took to McMann Field in Bath, Maine. A cold wet day gave way to a little setting sunshine and rainbow for the NYA girls to hoist the gold ball they worked for since August. After the girls’ awards ceremony, the boys team matched up against Class D North champs Penobscot Valley under the lights. The Howlers struck first, but the Panthers charged back and did not let up. The NYA faithful celebrated again that day as a second gold ball was lifted and brought back to Yarmouth. 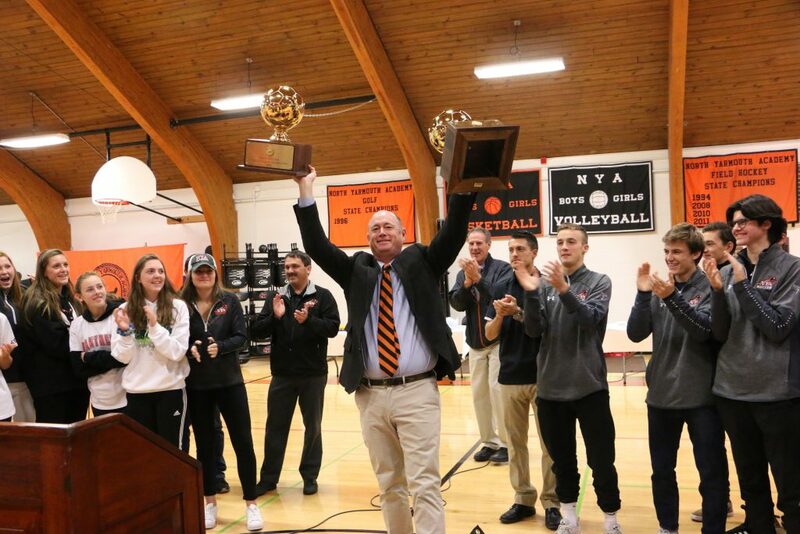 NYA Head of School Ben Jackson declared a “Code Orange” for Monday, and the NYA dress code was set aside for the day so students could wear school colors and team apparel. Captains of both teams presented Jackson with the gold balls at a school-wide assembly to uproarious cheers from the student body. NYA boys and girls dominant seasons etched their names in The Forecaster’s “Super Six Soccer Poll.” The only class D team on the list.